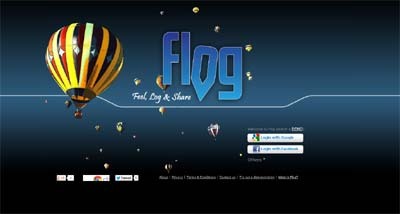 Flog is a new geo social network. Users will be able to find a place in the world with Google Map, go inside Street View (where Street View is not available, they can use Google Map as well), put a marker, select one emotion they feel for that place, write a comment and share it with all people (public) or just to one ot more friends (private). Other users can look his marker and leave a comment.